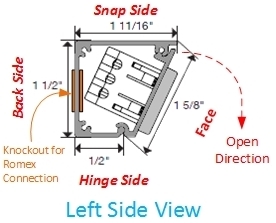 The single Tamper Resistant outlet receptacle strips sometimes called plug moldings are available with a 15 amp rating. 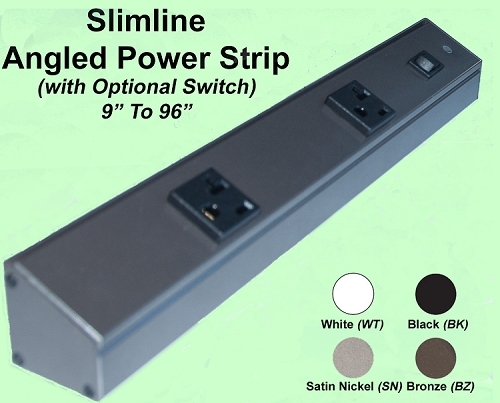 See Blog: Which Angled Power Strip do I need 15 amp, 20 amp Tamper Resistant? Check with your electrical contractor for the correct choice which will meet your wiring needs. 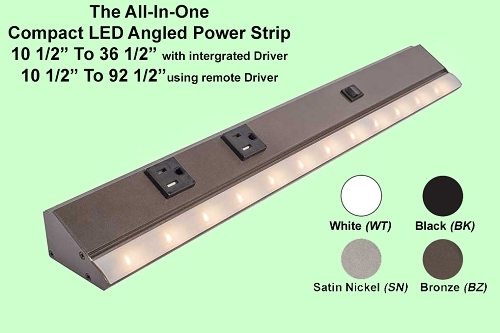 Optional specifications can be added to each strip, like adding an on/off switch, adding additional receptacles, or cutting to a specific length. GFI requirements can be satisfied by either having the GFI in the circuit breaker panel or the strips line feed to the strip coming from an outlet with GFI installed in the receptacle. Select the product below to view the available sizes, receptacle colors, and powder coated finish colors.